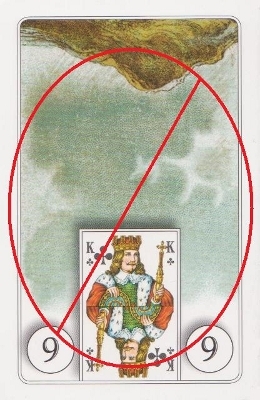 *Pictured is a Dondorf style Lenormand by Konigs Furt. Me too–I never use reversals. I think you notice if a reverse meaning is indicated when the card is upright. No need for a physical reversal.